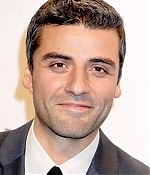 Oscar Isaac attended the New York Film Critics Circle 2013 Awards Ceremony on January 6th, 2014. I’ve added 13 files of his arrival to the Awards and 6 on the Red Carpet. Check them out below! “Inside Llewyn Davis,” Joel and Ethan Coen’s study of a struggling New York folk singer in 1961, was the big winner Saturday at the National Society of Film Critics. 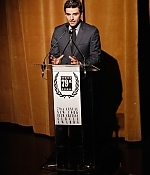 The film received four awards, including best film, actor for Oscar Isaac, director for the siblings and cinematography for Bruno Delbonnel.